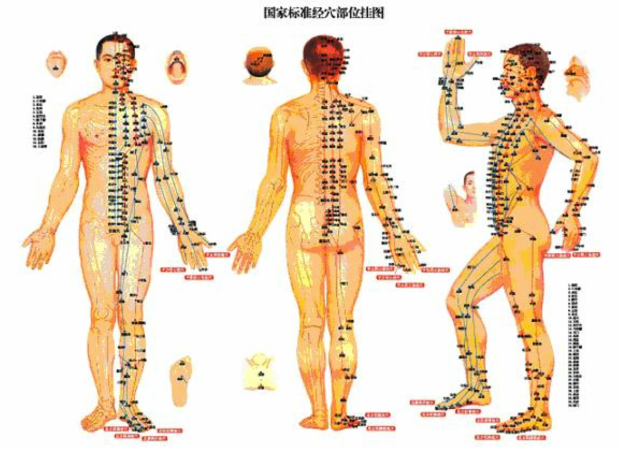 Acupuncture originated in China and has been practiced there for thousands of years. Although there are records of acupuncture being used hundreds of years ago in Europe, it was during the second half of the twentieth century that it began to spread rapidly in Western Europe, the United States and Canada. Acupuncture has been an essential part of medicine in the east for thousands of years. Yet even as it catches on in the West, physicians in this part of the world have yet to figure out exactly how this ancient technique works. Whatever the mechanisms, acupuncture does work for many. Scientific studies are offering real evidence that it can ease pain and treat a large range of ailments. The technique of acupuncture involves the insertion of very thin needles in various pressure points (called acupoints) and at varying depths throughout the body. Acupoints are found along meridians that cover the entire body. Meridians are invisible pathways through which the vital energy QI (pronounced chee) flows. Illness occur when the flow of qi is blocked or becomes unbalanced. Acupuncturists attempt to restore the free flow of qi by removing these blockages and to balance the flow throughout the body to optimize health. Stimulating these points is believed to promote the body's natural healing capabilities and enhance its function.